Montreal Quebec’s Express Kafe is an international mobile espresso catering company, providing specialty event catering. Express Kafeh was created in 2011 by Serge Butman who saw a need in the market for Express Kafe to provide memorable events with fabulous coffee-based drinks. Blue Tide Website Design worked with Serge to design a responsive WordPress website design with a good fit for this very unique business. 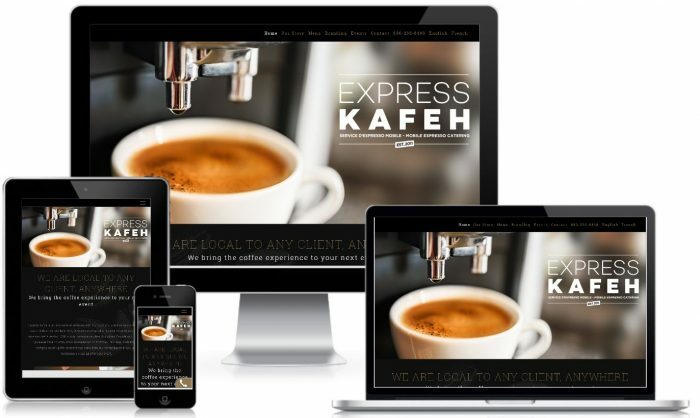 Using a clean, modern image heavy layout, the Express Kafe WordPress website gives users an engaging web browsing experience. Is a new website or website redesign in the future for your restaurant or food services company? Give us a call to review website design options, traffic generation, local SEO or Adwords Management. Text or call 416-889-7812 or use our contact form.